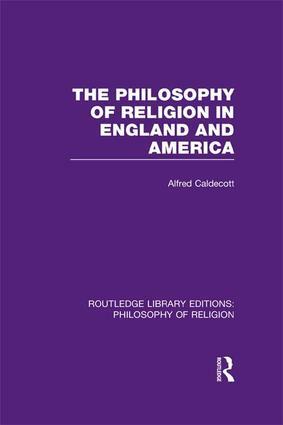 A classic in the area, originally published in 1901, this book is a survey of the past work in the field of philosophy of religion, a conspectus of literature and comparison of methods and theologies from the Reformation to the start of the twentieth century. The Introduction part of the volume offers a classification system to explain the order of the detailed section of the book. Lesser-known theologians are covered as well as great thinkers, a deliberate choice on the part of the author. Within each chapter, types of theism are then broken down into sections on individual thinkers, or group of thinkers with a reference to their main works.